For more info about Cheerios and thier products visit the Cheerios website. I recieved Dulce de Leche Cheerios prize pack from MyBlogSpark! My prize pack contained a Box of Dulce de Leche Cheerios, Orange polka dot cereal bowl, Cereal spoon and a Dulce de leche scented candle. The kiddos ate the cereal up so fast that I only got a hand ful of it. It tasted great! I cant wait to pick up another box and make an Apple Bread with it. They gave them a 2 thumbs up in between bites...lol.! The candle has a wonderful caramel scent! You can purchase Dulce de Leche Cheerios at your local grocery store in the cereal isle. UPDATE~ prize has been delivered! 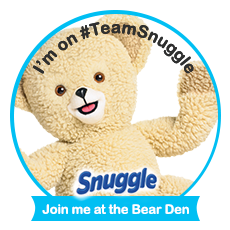 Thanks for the great sponsorship to both Myblog spark and Cheeriors. I would love to try this cereal out, it sounds good! I would love to try out this cereal, it sounds really good! I would love to win this cereal, it sounds really good! I have never tried this cereal, never heard of it before. Nope, I haven't tried this variety, and I haven't seen it in the stores yet either. hmm first I have heard of it sounds good all the same. i havent tried them yet, havent seen them yet. but i am excited to try them!! I have not tried it yet. Thanks for the giveaway! This is the first I have heard of it but would love to try it. Sorry for posting so many times, but I didn't see it go through, so I kept doing it again. So sorry! No I have not tried it yet! No, it would be a first to try this flavor. I bet it is delicious though. I've not heard of them to now but they sure sound good! I have not yet tried them, but would love to. Sounds delicious. I have not tried these yet, but I have really been wanting to. for some reason I cannot leave link in the RC ?? I havent tried it, i would like to. 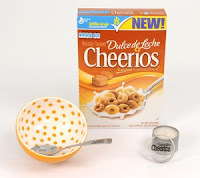 I haven't tried Dulce de Leche Cheerios yet, but would love to ヅ *Thanks* for the giveaway! no we haven't tried them yet but they sound yummy! thank you! I'not tried the Dulce de Leche Cheerios. And I haven't seen it in the stores yet either. Thanks. I had not even heard of these cheerios before today! Thanks for sharing! no i have not tried these yet! I have not yet tried it, but will keep my eye out for it. It's seems like something that I should try. I have not tried them, nor have I even seen them til now! I have not tried them, but would like to! yes and I ♥ them, they are my new fav.